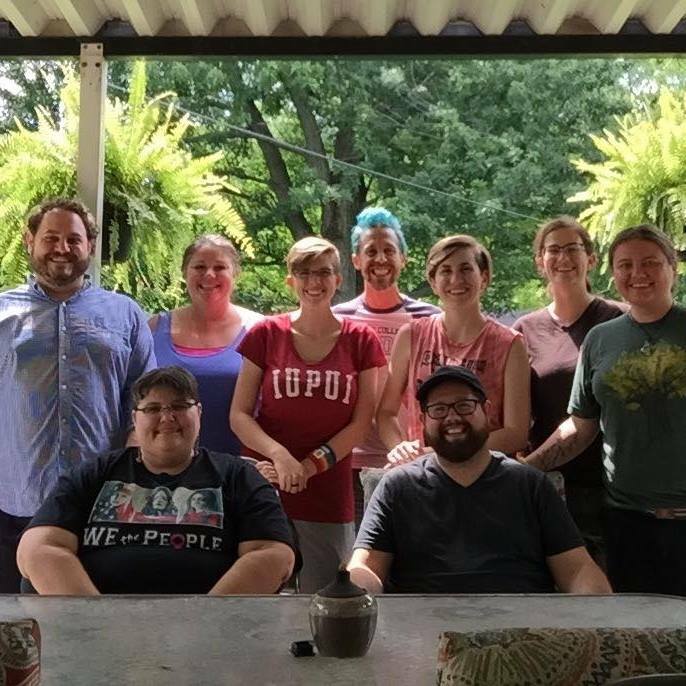 Welcome to the IUPUI LGBTQ+ Faculty Staff Council webpage! 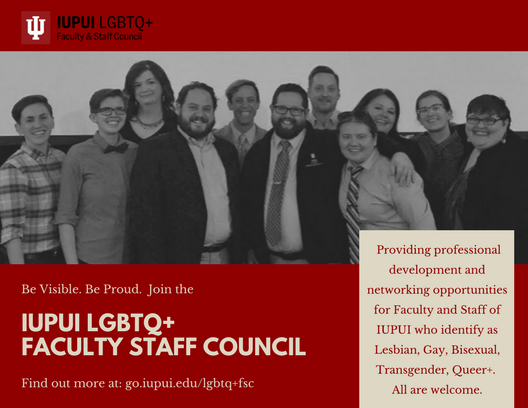 We are thrilled to hear that you want to get involved with the LGBTQ+ Faculty Staff Council here at IUPUI. 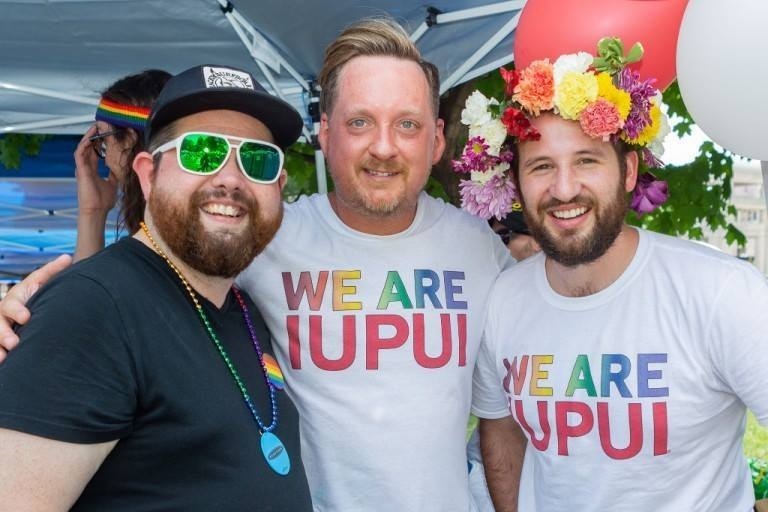 Join our Outlist This page on our website highlights faculty and staff from IUPUI and IUPUC who are “out”. 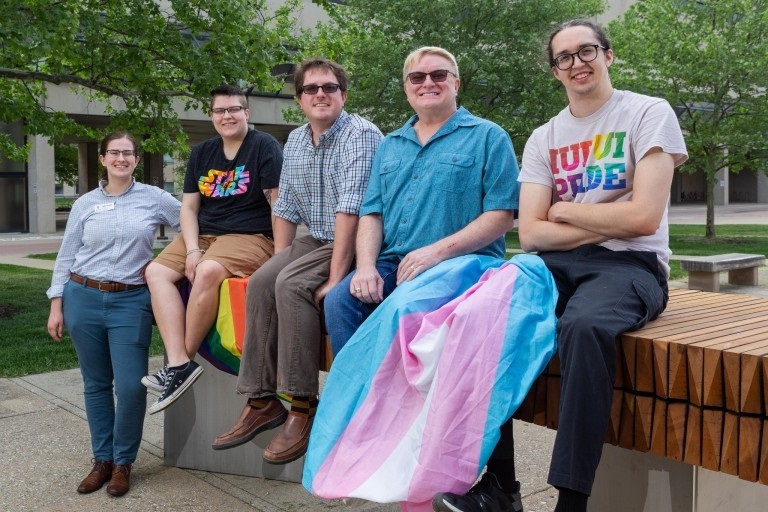 Students, faculty and staff members are encouraged to reach out to those on the list for guidance, advice or simply for connection. To join or view the list, please click here. Be on a planning committee Each semester, we host more than a dozen professional development and networking opportunities. These are all planned and emceed by our council members. 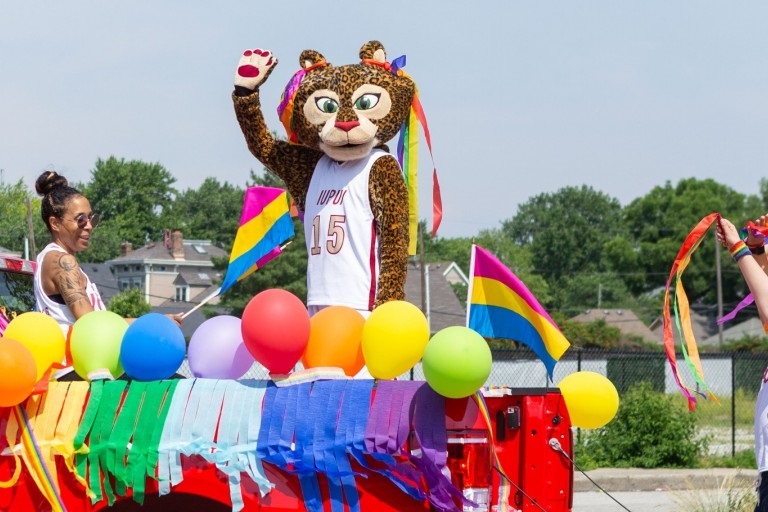 If you would like to lend your time to organizing one of these events, please email us at shsnider@iupui.edu. Attend an event We host events focused on professional development, networking and even have a book club which you are invited to join. All of our events are shared on our Facebook page and include details about location, date and time. Feel free to pop-in to one or more. 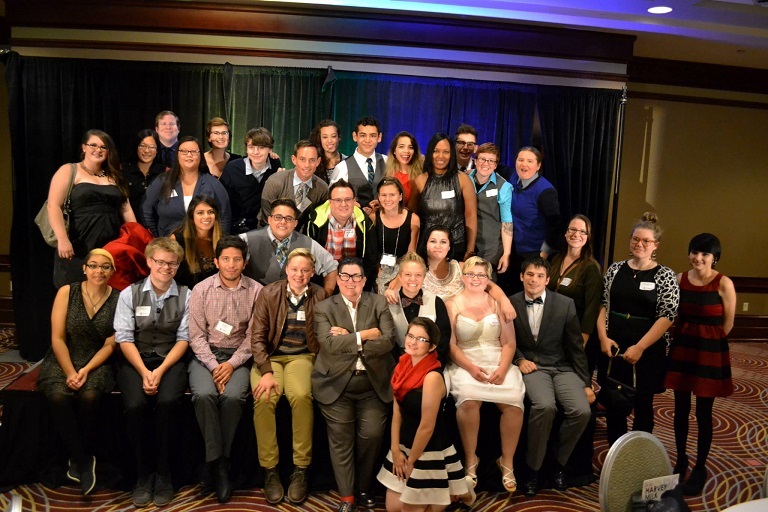 Mentor an LGBTQ+ Student In 2017, we were very lucky to get a grant from the Chancellor to start our very first mentor program. 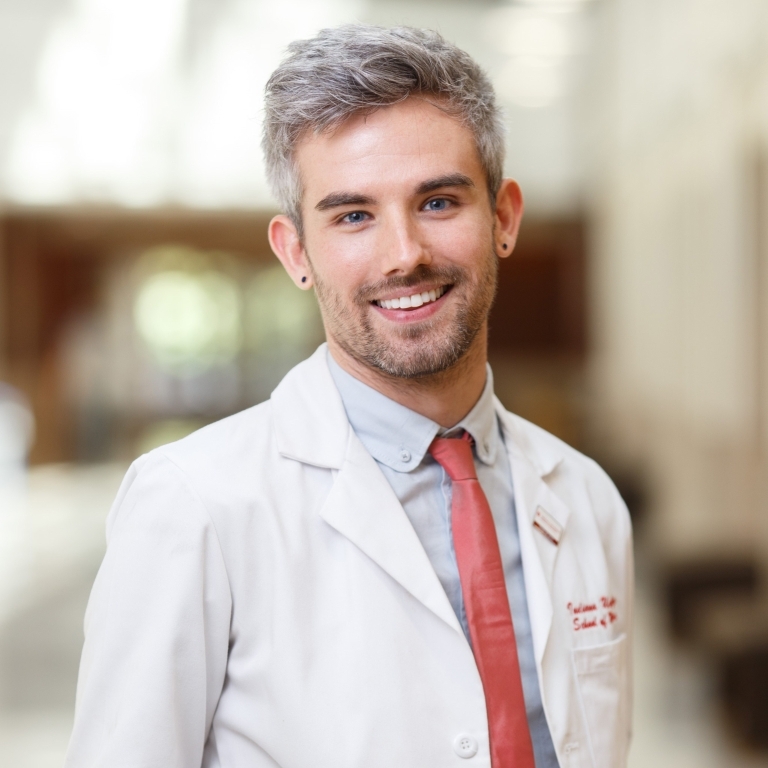 This program pairs undergraduate students with faculty or staff for a year. 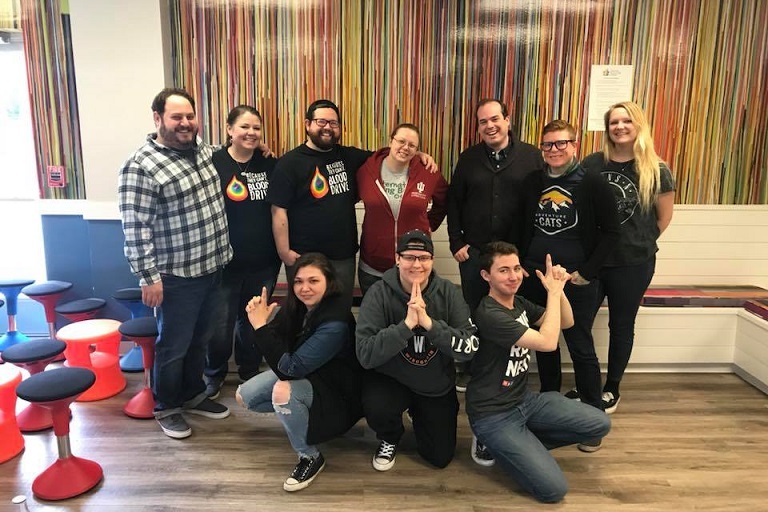 Throughout the year participants are given opportunities for professional development and connection with other LGBTQ+ people. To sign up to be a mentor, please click here. 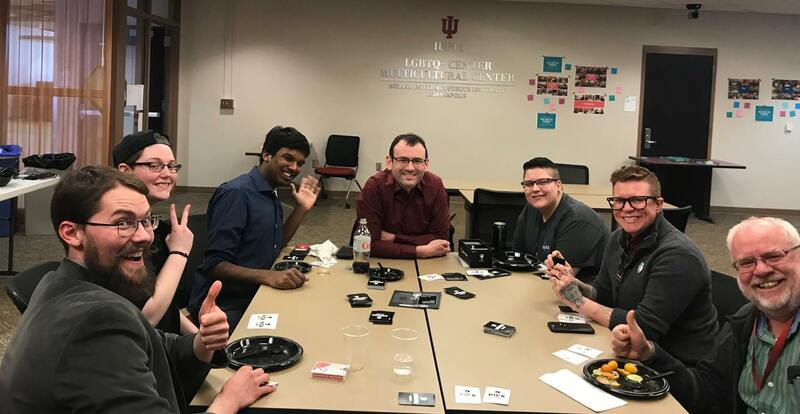 Thank you again for your interest in connecting with other LGBTQ+ Faculty and Staff members at IUPUI. We hope to see you at a future event. 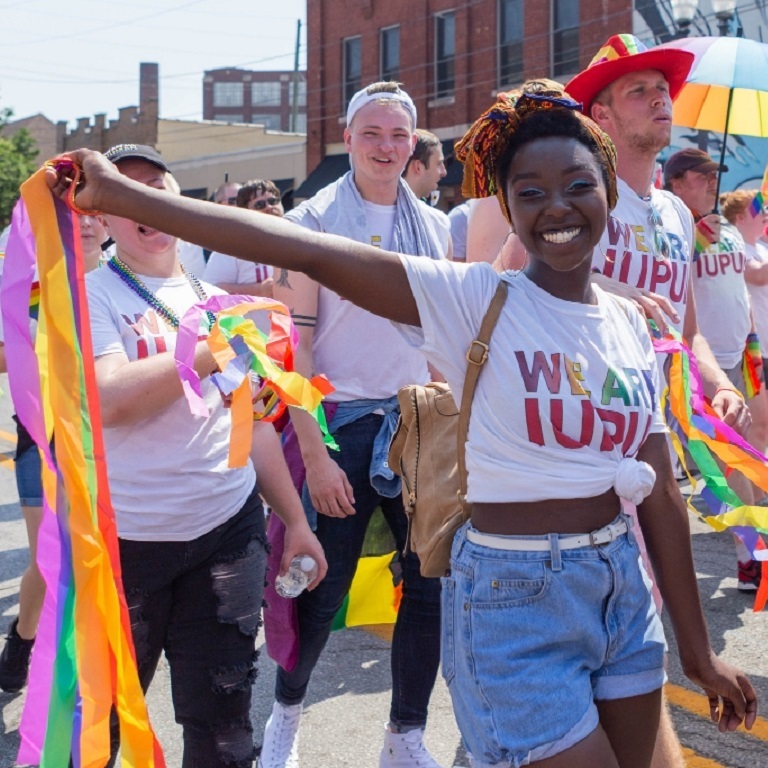 Providing professional development and networking opportunities for Faculty and Staff of IUPUI who identify as Lesbian, Gay, Bisexual, Transgender, Queer+. 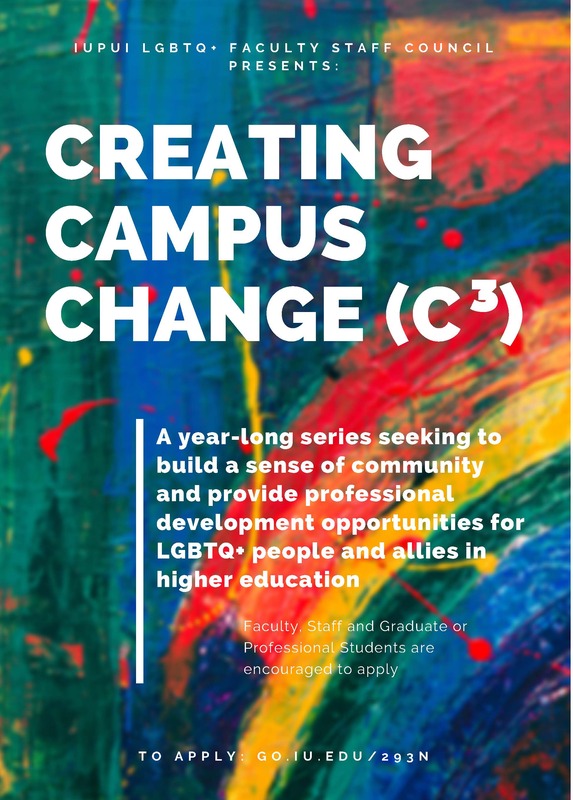 About the C3 Program: Creating Campus Change (C3) is a professional development series for LGBTQ+ graduate/professional students, staff and faculty. 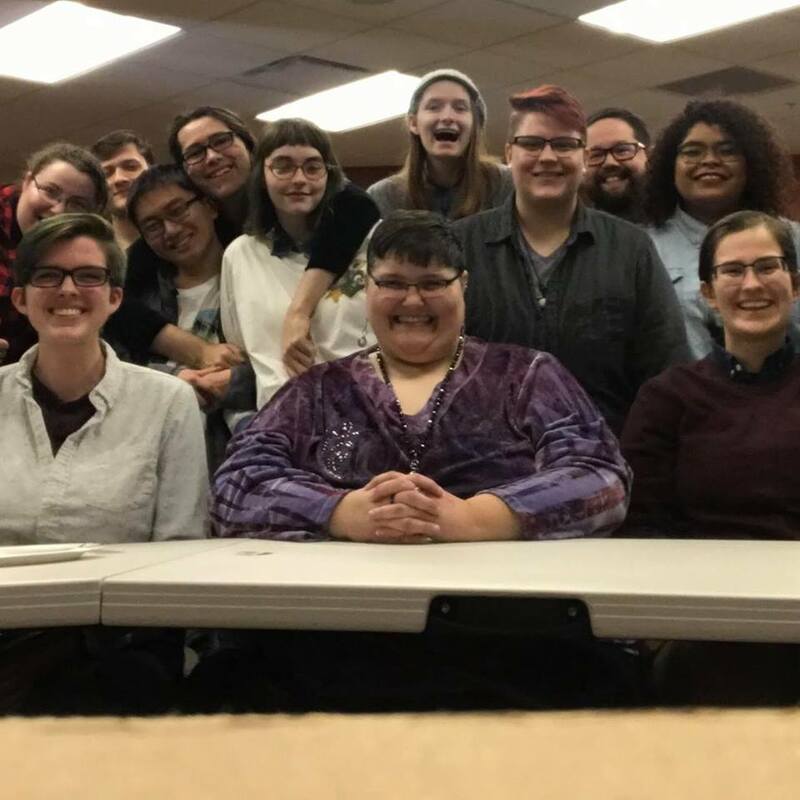 This year-long series seeks to build a sense of community as well as meeting the personal and professional development needs of LGBTQ+ people in higher education. 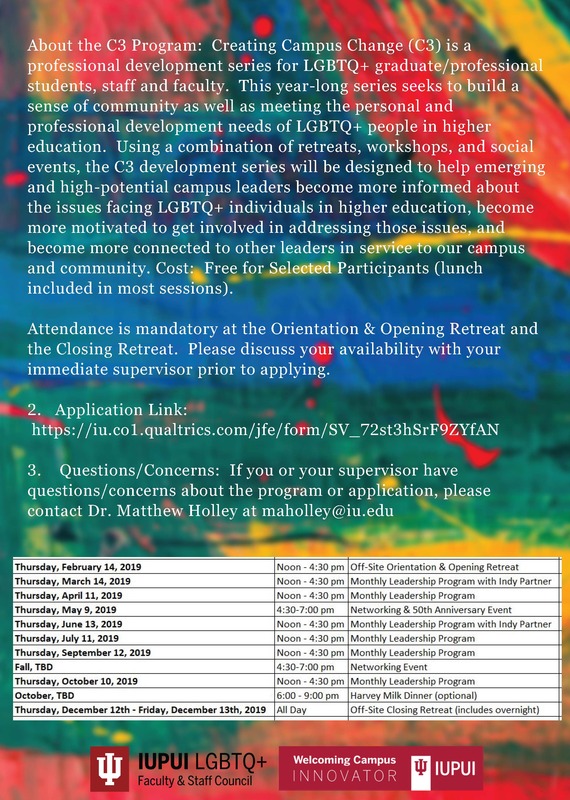 Using a combination of retreats, workshops, and social events, the C3 development series will be designed to help emerging and high-potential campus leaders become more informed about the issues facing LGBTQ+ individuals in higher education, become more motivated to get involved in addressing those issues, and become more connected to other leaders in service to our campus and community. The C3 program is possible with funding from the Welcoming Campus Innovation Fund. For more information about the Welcoming Campus Initiative, please visit this website. 1. Review the program, attendance and time requirements. Please review the tentative class schedule and be sure you can commit to it and the attendance requirements, should you be accepted into the program. Attendance is mandatory at the Orientation & Opening Retreat and the Closing Retreat. Please discuss your availability with your immediate supervisor prior to applying.